Your roof is one of the most important parts of your house. It protects you from the elements and keeps your house beautiful. Your home's curb appeal starts with its roof. When your roof has problems the rest of your house is sure to develop major problems soon after. A leaky roof can cause water damage to your house and even lead to hidden problems like black mold which can be a major health risk to you and your loved ones. At Independence Roofing we know how important your roof is to your home which is why we use only the finest roofing materials on the market. Continue reading below to learn about the Integrity Roof System and why we believe it is the best complete roofing system available today. A systems approach combines high-performance components - underlayments, shingles, accessory products and ventilation - to make the Integrity Roof System a complete roofing solution. When you choose an integrity Roof System, you gain the advantage of having CertainTeed as your single manufacturing source to stand behind its roof system components. If different brands of products are installed on your roof, then you do not gain the full value of a complete roof system. CertainTeed ridge vents combined with CertainTeed intake vents, are the most effective ventilation system. Accessory shingles are used to finish the hips and ridges of the roof and are designed to complement the appearance of CertainTeed shingles. High-quality shingles available in a wide variety of styles and colors, covered by the strongest warranty in the business. High-performance underlayment provides a protective water-resistant layer over the roof deck and a secondary barrier against leakes. Waterproofing shingle underlayment prevents leaks from wind-driven rain and ice dams in vulnerable areas. 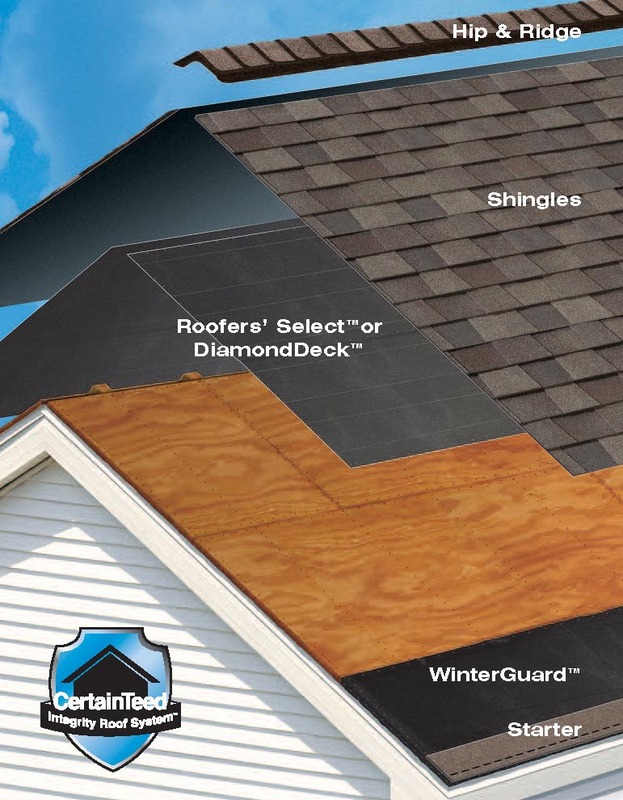 Starter shingles are designed to work specifically with each different type of CertainTeed shingle for maximum performance. Independence Roofing is a family owned company with over 30 years of experience in construction that is Licensed, Bonded and Insured in the State of Ohio. We are a Certified Certainteed Installer that can offer a true lifetime warranty on your new roof. 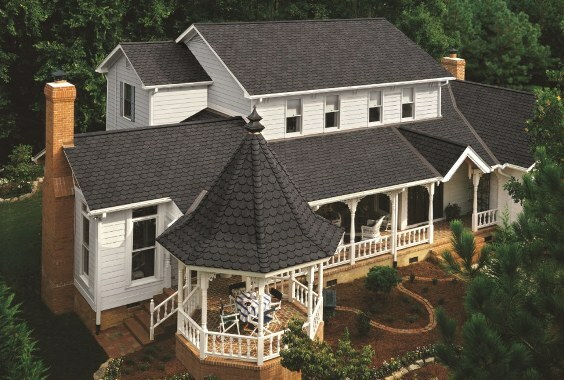 Click the image above to browse through all the shingle styles and colors available for your new roof.